09.27.2018 – Meeting with the company’s shareholders, investors and analysts – 10 o’clock at the Company’s headquarters in the city of Iasi, 1, V. Lupului Street. 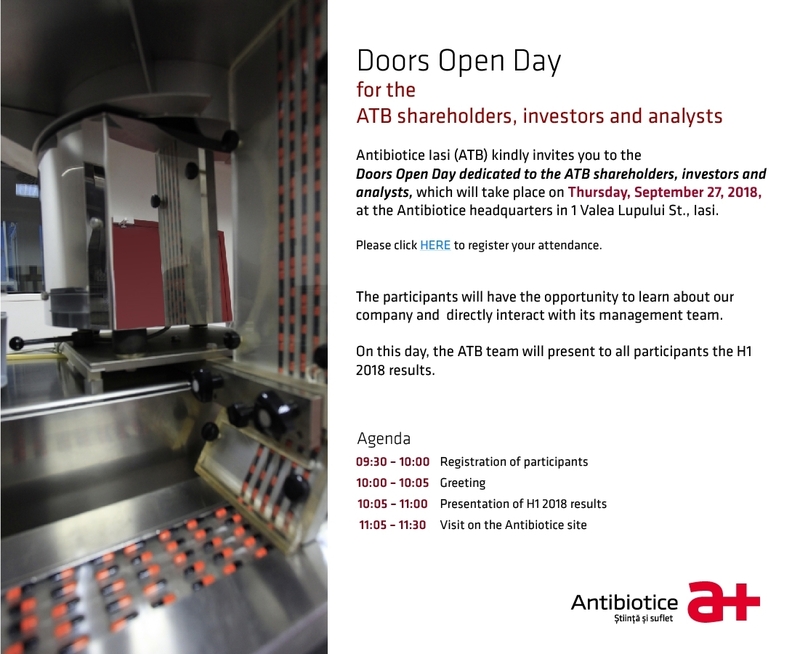 Meeting with the Company’s analysts and investors – 17.05.2018, 10 o’clock at the Company’s headquarters in the city of Iasi, 1, V. Lupului Street. Meeting with the Company’s analysts and investors – 18.05.2017, 10 o’clock and 19.10.2017, 10 o’clock at the Company’s headquarters in the city of Iasi, 1, V. Lupului Street.